In the past 20 years, cancer-related mortality rates have dropped by nearly 25 percent, a trend that is expected to continue as smoking decreases and detection and treatment options improve. In addition, the 5-year survival rate for all cancers jumped from 49 percent in 1977 to 69 percent in 2011. Yet for those diagnosed with the disease and their loved ones, finding a way to effectively fight cancer, even as they survive it, is difficult. The seismic paradigm shift shows that cancer care now operates on a continuum of prevention, risk reduction, screening, diagnosis, treatment and survivorship. Now comes the question of whether architecture – “place” – can help in the fight against cancer by becoming a nonpharmacological intervenor, a passive member of the care team and a constant friend to the patient? How much can the design of a physical environment help cancer patients, and their caregivers, as they navigate their life-changing journey? To help find answers, HKS partnered with Dr. Bita Kash, via the NSF-CHOT program (National Science Foundation-Center for Health Organization Transformation). Kash and her team did a systematic review of the literature published in the Journal of Integrative Oncology. We also had the opportunity of speaking to some industry leaders in the field and gain insights. Finally, we did a series of internal brainstorming charrettes to think of what these insights mean to our profession. Medicine is moving toward a preventive, predictive, personalized, and participative approach. This is the new mandate for cancer care as it moves from a terminal to a chronic disease. The Integrated Practice Unit calls for a value-based approach through a carefully defined set of medically integrated services and practices, and a dedicated team of clinical and non-clinical staff organized around the patients and their specific needs. The Tumor Review Board, allows a wide range of specialists to review and discuss a patient’s tumor and the best treatment plan for that individual, which maintains the personalized medicine directive. The Psycho-Social Care model allows for the assessment of a cancer patient’s psycho-social distress, then matches that patient’s level of distress to their level of care. Many systems are already designing places that allow and promote these progressive models of care. For example, M. D. Anderson Cancer Center in Phoenix is a spoke emanating from its hub, the M.D. 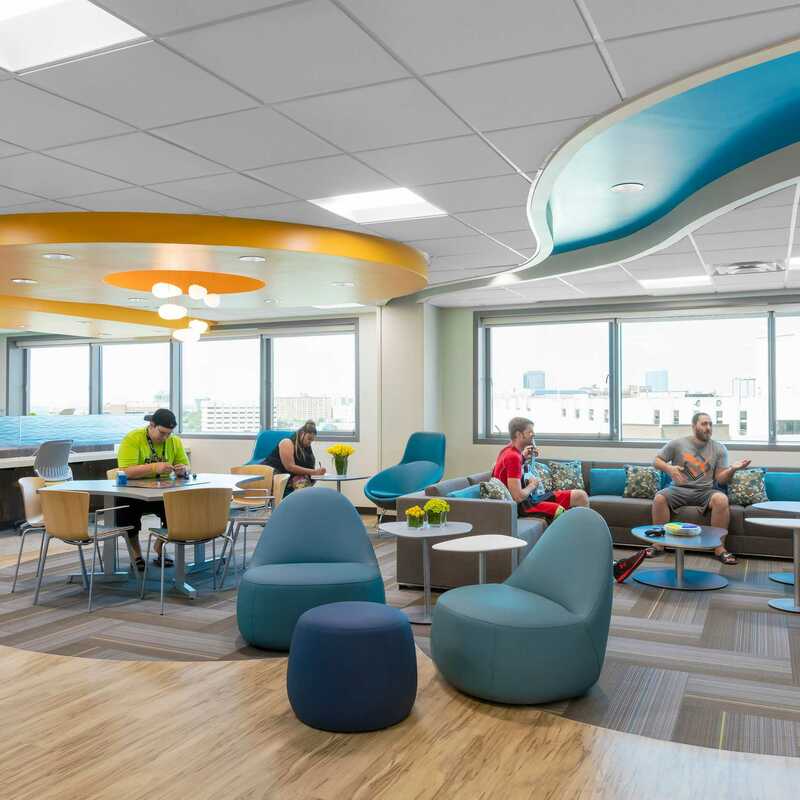 Anderson Texas Medical Center in Houston, with core programs seamlessly connected to the hub so that there is no drop-off in patient care throughout the system. At Parkview Cancer Center in Fort Wayne, IN, the Hospital Outpatient Department focuses on disease sites and includes imaging, labs, infusion and radiology/oncology as part of the rapid learning model. 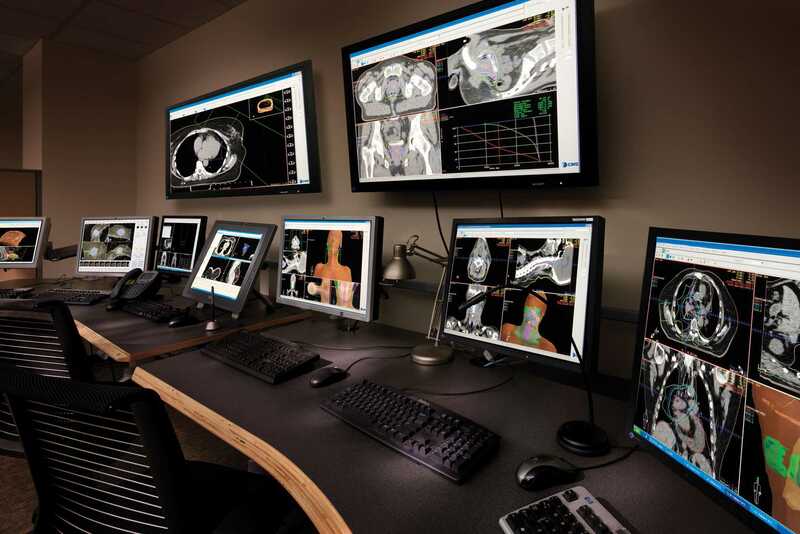 Designed spaces accommodate large tumor boards that allow local and virtual participation and multidisciplinary care is hyper-focused on specific tumor sites and cases. At Presence Health, a one-stop shop allows services ranging from proton therapy to nutrition & behavioral health. Flexible design concepts support the integration of behavioral health professionals, social workers, financial counselors and patient navigators into the care team. In Texas, Baylor Scott & White All Saints Medical Center has opened the Fort Worth Adolescent and Young Adult Oncology Coalition unit. The specially-designed unit allows young adults diagnosed with cancer novel ways to confront and deal with the psychological and social challenges that the disease can create at a time in their lives when they are the most emotionally vulnerable. What if doctors prescribed a diet of places that could make you feel better, which was unique to your personalized care plan? What if design could reduce our dependence on drugs by leveraging place as a non-pharmacological intervention to manage pain, anxiety and stress [a lot of strong evidence supports how environments, especially biophilic environments, can improve outcomes]? What if our environments could rapidly learn our needs and respond with personalized environments [control over lighting, temperature, privacy, configuration, connection to information and community etc.] that improved our experience and clinical care? We see this body of work as a catalyst research project, meant to spark design innovation and research investigation at multiple scales. This is only the start of a conversation. Please join us. CADRE is a 501c3, not-for-profit entity committed to fostering innovation and excellence in design research and evaluation. CADRE contributes to the growing body of evidence related to design performance and the impact of architecture and design on users, organizations and ecosystems.